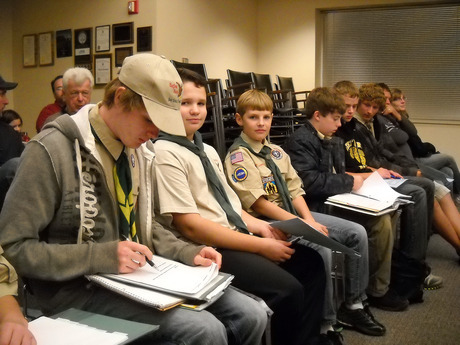 WELCOME TO THE GERMANTOWN, WI TROOP 271 WEBSITE! Thank you for visiting our Troop 271 Website. Please take a moment to look around our site. If you have any questions, please feel free to email our Scoutmaster, Chris Matheny at mathenyfam@yahoo.com or call him at 262-253-9694. On a night with a snowstorm in full swing, our boys came together with their families to celebrate their latest rank advancements and achievements. Congratulations to our newest members who all achieved their very first Scout Rank in Boy Scouts! Project COPE: After some great low COPE activities to heighten team-building skills, trekkers will get to spend quality time zooming through the air on their famous zip-line. Trekkers will also try to brave the elements as they master the 45-foot high COPE course. This Challenging Outdoor Personal Experience is like no other. ATV Riding: A new program for Tesomas, participants will learn how to ride an ATV through several hours of hands on training. After training, participants will explore the trails around the backwoods of Tesomas. Mountain Biking: The Northwoods are home to some of the most spectacular adventures that Mother Nature has to offer and trekkers will learn this first hand, as they ride through the backwoods of Wisconsin. Disc Golf: Trekkers will experience one of the fastest growing sports at a course in Northern Wisconsin. Whitewater Rafting: Prepare to take on the rapids as you go white-water rafting! This exhilarating adventure will be challenging, exciting, and most of all fun! Big Munson Island: More than a hundred acres of high hardwood hammock fringed in lush mangroves, much like it was when pirates arrived in the 1800s. “Survivor”-like experience: (sorry, no voting anyone off the island) at the Brinton Environmental Center, located at mile marker 23.8. We will travel from the Brinton Center to Big Munson Island with all our gear via Polynesian war canoes (your food is delivered by powerboat). Because this is a primitive camping experience, don’t expect white sandy beaches and native girls! You will have to wade all of your food, water, and equipment ashore to your campsite. Ocean Exploring: Fishing for grouper, barracuda, mahi-mahi, and sharks. 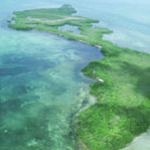 Experience some of the ﬁnest snorkeling in the Keys on North America’s only living coral reef. 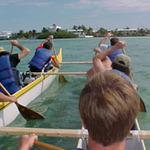 We will also explore the island on foot or mingle in the mangroves on small kayaks! We are returning to one of our favorite camps, our own Potawotomi Area Council Boy Scout Camp! We are going the 2nd week of July, 2013! The troop hosted area Webelo's scouts and ran a bottle rocket launching station for the second year in a row. In addition, they cooked and feasted on 2 incredible turkeys- made in box ovens! Our boys are becoming quite the chef's! In July we travelled to the scenic Wisconsin Northwoods for our annual summer camp. The boys enjoyed the patrol cooking aspect as well as the large array of merit badge choices. The scouts completed lots of merit badges! All of our new Scouts advanced to Tenderfoot rank during the week! Four scouts completed the one-mile swim! Two scouts and our Scoutmaster, Chris Matheny were recoginized at the Order of the Arrow callout! In June, we spent a great weekend at the Milwaukee County Zoo. We participated in Scouting the Zoo and got to spend two nights under the stars with the animals. Our public display was our Monkey Bridge that the boys built and assembled themselves. It was a big hit with the kids. The troop spent the weekend up at Sunburst Ski hill for the Outdoorsman Merit Badge Clinic hosted by Troop 175. They had a great time, earned a tremendous amout of Merit Badges, and learned a lot about how fun scouting can be, even in the rain! Congratulations to our Assistant Scoutmaster John Siegesmund for being awarded the Troop 271 Unit Scouter of the Year Award! This award is given by the Northern Lights District on behalf of the Unit of the recipient. The award is given to registered Scouters who have gone above and beyond the normal call of a leader to support their Unit and the District. This award is submitted by the recipients peers. Troop 271 has benefitted greatly from his service to our Troop over the last year. A very special award was given out to our Scoutmaster, Chris Matheny and his wife Jennifer. They were awarded one of the highest awards given in our district, Scouting Family of the Year! This award is given by the Northern Lights District to dedicated families of registered Scouters who have gone above and beyond the "call of duty" in Scouting by supporting both Unit and District activities as a family. Fellow Scouters submit nominations and are reveiwed by the Awards Committee. On a recent visit to the Village Board meeting, several of our members met Village President, Dean Wolter. The boys are working on their Citizenship in the Community Merit Badge. The hottest topic of the evening was on whether or not to pursue On-Line Bill Pay for Water and Sewer payments. It was shot down due to the added expense that was deemed unnecessary in this economy. The guys had a great time out at Kettle Moraine State Park for their Fall Campout. They worked on Scouting Skills, took a 2 mile hike through the beautiful fall foliage on the Ice Age Hiking Trail, and just had fun together. They look forward to going to Kettle Moraine again next year and adding another night because the Park was that great! BRAT FRY WAS A BIG SUCCESS! A big thank you to all those scouts and parents who came out to help with our first every Brat Fry! It was a HUGE success despite the wet weather. Our next Brat Fry is Saturday, June 4th. If you have not already signed up for a shift, please contact Mrs. Matheny at mathenyfam@yahoo.com to find out what shifts are still available. Lets think dry thoughts for this Saturday! A wonderful time was had at the Potawatomi Council Eagle Recognition Dinner at the Country Springs Hotel. Our own Troop 271 Eagle Scouts, Tim Damico and Kurt Degner were honored along with over 130 other Eagle Scouts. A very special surprise was given out to Kurt in front of over 450 Boy Scout leaders and Eagle Scouts. Not even his parents knew he was receiving it! Kurt was given an award for being the 3000th Eagle Scout in the Potawatomi Council! Awesome! OUR SCOUTMASTER ON THE COUNCIL WEBSITE! Mr. Matheny has successfully completed his Oakleaf training with the council and is on the front page of the council website with his Oakleaf class. 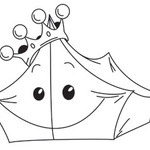 In order to go camping with scouts, each troop must have someone who is Oakleaf trained along. JOIN THE NEW YAHOO GROUP! CONGRATULATIONS TO MR. DEGNER ON BECOMING TROOP 271 UNIT SCOUTER OF THE YEAR! Neal Degner has put in countless hours over many years to make Troop 271 awesome! He will be recognized and receive the Unit Scouter of the Year award for our Troop at the Council Dinner in March. Congratulations Mr. Degner. We couldn't do this without you! We want to extend a warm welcome to our brand new scouts from Pack 271 at County Line Elementary in Germantown. We look forward to getting to know you better and having fun together! Several of the troop members helped to sell Christmas Wreaths at our 1st Annual Troop 271 Christmas Wreath Show and Sell. We were thrilled to see troop member Tony Matheny on the front page of the Germantown News insert in the Milwaukee Journal Sentinel! 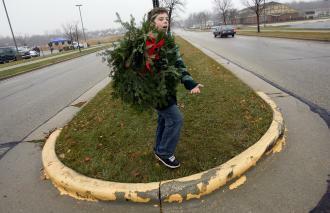 Tony and his brother Sam, as well as several other members of Troop 271 were selling the wreaths in front of TanR U, located on Squire Drive just South of Mequon Road. The owner was kind enough to let us have the space for our Show and Sell. It was a big success and we have been offered the location to sell Popcorn and Wreaths their next year as well. This will be a fun event for all the guys.